For our "Tips on Tuesday" feature today, we're sharing 4 tips to use while baking with cooking chocolate and/ or cocoa powder. These are great tips for your chocolate recipes. or make-shift one with 2 cooking pans or sufurias. Take a medium pan and boil hot water in it, switch off the heat and set aside. Place another pan on top of the one with hot water, make sure it doesn't enter inside the pan with water. The top pan's base should be slightly larger than the top of the bottom pan, the top pan should not come in contact with the hot water. Place the chopped, grated or small blocks of cooking chocolate into the top pan and give it some time to start melting. Slowly stir with a wooden spoon until the chocolate is melted; it's now ready for use. Chocolate is delicate and absorbs moisture and odors easily. Store it in a cool, dry place away from light and heat. The ideal storage temperature for chocolate is 12 to 20 degrees Celsius. When baking with cocoa powder; if you make a chocolate cake from a white cake recipe base, you should increase the liquid in the recipe. 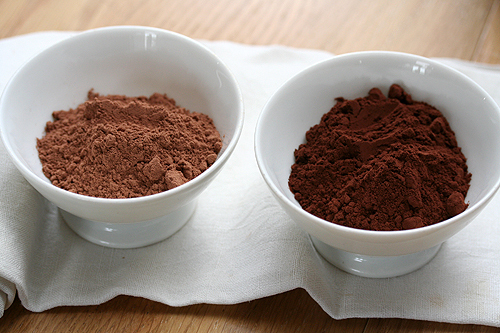 This is because the cocoa powder is high in fiber and starch, it absorbs moisture. This makes an equivalent of 1 ounce of baking chocolate. We hope these few tips will help you with your chocolate cake, cupcake and cookie recipes. To learn how to bake chocolate cake and other delicious baked products. Visit our Baking Classes Webpage, email us: bakingclasses@amaribakery.co.ke or Call/Text: 0707557091. Such a nice tips and ideas given about the cocoa chocolate and powder.Give some more tips for coca powder.